Barley is divided into two- and multi-rowed varieties. At sites of high disease severity, hybrid barley varieties can provide an advantage thanks to their properties. 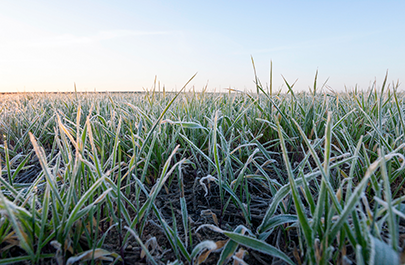 Winter barley prefers medium-heavy soils with appropriate water supply. Due to the early yield formation in autumn (50%) and in early spring, it is also grown in dry locations, as it can make use of winter moisture better than wheat, for example. 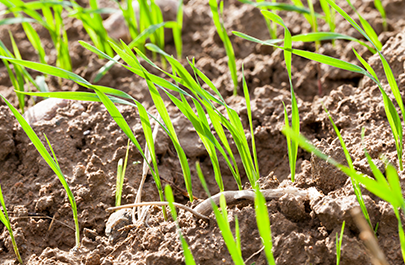 Winter barley should be sown under dry conditions and on soils with no compaction damage. It reacts very sensitively to soil acidification. The relevant weeds germinate in fall. Herbicides are therefore used before hibernation. Sowing takes place between 15th September and 10th October. Multi-row varieties tolerate later cultivation dates, lower seed size, and climatically disadvantaged areas better. In order to reach stock densities of 700-850 ears/m², two-row varieties are sown at a density of 320-350 grains/m² around 25th of September. Less than 300 grains/m² lead to shortages in double-row varieties. In the case of multi-row varieties, stock densities of 450-600 ears/m² are sufficient, which corresponds to a sowing density of 280-320 grains/m². Abundant autumn growth is achieved with adequate amounts of available nitrogen. Winter barley is the grain with the highest nutrient uptake (about 30kg N) in autumn. More intensive tillage (ploughs, cultivators) or forages such as soybean and other leafy crops will provide enough nitrogen. If these conditions are not met or if there still crop residues with a low N content(e.g. maize stalks) in the soil, a nitrogen fertilization of 30kg N/ha has proven effective in the autumn (preferably via NPK). Use of manure is suitable before cultivation and/or in early spring. Winter barley is very sensitive to calcium deficiencies. Especially on sites with a low pH value, applying a rapidly effective form of lime at seed-level is an ideal way of preparing the soil. 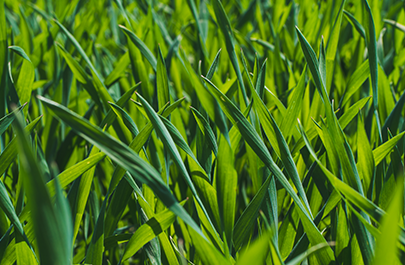 Winter barley's requirements for potassium and phosphorus are ideally provided with NPK or PK fertilizers as early as autumn or with a high-nitrogen content at the start of vegetation in spring. The quantity depends on the yield expectation and amount extracted by the crop. The table shows the uptake and extraction per tonne of grain yield. Therefore, winter barley needs mainly nitrogen, phosphate and potash. For example, a winter barley yield of 8t/ha takes up 144kg N/ha. If 30kg N/ha is provided by the soil, 110kg N/ha would need to be fertilized. 120kg N/ha would be removed from the field by the harvest. To ensure a targeted supply based on requirements and to avoid nitrogen or yield losses, nitrogen is fertilized sometimes in two, but usually in three doses in spring. Under certain circumstances, fertilization may be necessary in autumn. Winter barley provides the yield by a lush tillering in autumn. This is particularly important for two-row varieties. Up to 50% of the later grain yield depends on it. Multi-row barley can compensate for the single ear with much more yield. Winter barley needs some of its nutrients already in autumn. Nitrogen replenishment may be sufficient from the mineralisation of soil organic matter. Crops grown on the same land previously such as soybean or rapeseed or the use of small amounts of farm manures improve the supply of nitrogen. If these nitrogen sources are absent or if the straw from the previous crop is immobilizing nitrogen, applying a small amount (30kg N/ha) may be an advantage. For the required autumn development, the sowing rate is less relevant than the optimal sowing date and not too scarce a nitrogen supply. The first spring dose (50-80kg N/ha) is usually the most important and should take place as soon as possible to achieve full yield relevance. The first fertilization maximises the stock density and the number of stalks with ears (plant density type) which is more important for two-row varieties than for multi-row varieties. Weaker stocks must be particularly strengthened by appropriate fertilization. 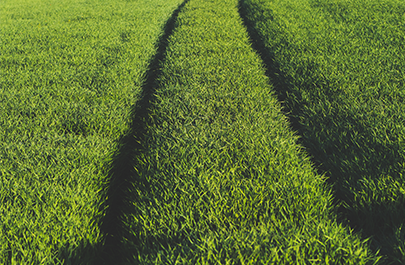 Only above-average developed crops, as a response to a nutrient supply from the previous crop or multi-row varieties, justify delayed or reduced fertilization. This dose is (70-90kg N/ha) focussed on particularly for malting barley varieties. The measurement of the second dose (40-60 kg N/ha) is matched to the first dose. It is higher in multi-row varieties, as they form a considerable part of the yield by the development of the individual ear (compensation or individual ear type). Fertilization takes place approximately four weeks after the first spring application at the beginning of longitudinal growth (beginning of long day at the end of March) in EC 30-31 (shooting). This dose is reduced for malting barley varieties, to avoid high protein contents. To optimise the grain filling and increase protein synthesis, for multi-row feed barley an additional dose of 30-40 kg N can be particularly relevant. Malting barley is not fertilized, as it would jeopardise brewing ability due to high protein contents.